My new novella is scheduled for release in May 2014. 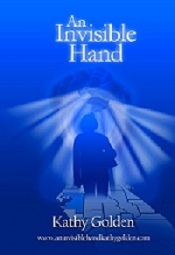 Visit An Invisible Hand by Kathy Golden to read upcoming details about this wonderful story of a young adult healer. Don't forget to sign up there to receive updates on this new book. This sonnet is the first of my poems to be added to the site. My funeral after I’m dead and gone. Her loud nose blowing, out-singing them all. Having never picked up their I.O.U. Will be greatly relieved to see me go. And for their sake, I think I’ll show myself. is now available. See details for a free download.